The loud exhaust on our 1966 Mercedes-Benz 230 S was driving us nuts so we called the guys at A&W Muffler, our local shop that does most of our exhaust work. We explained that at this point, we wanted it done right, but weren’t willing to sink a lot of money into the car until we decided on what direction we really wanted to go. 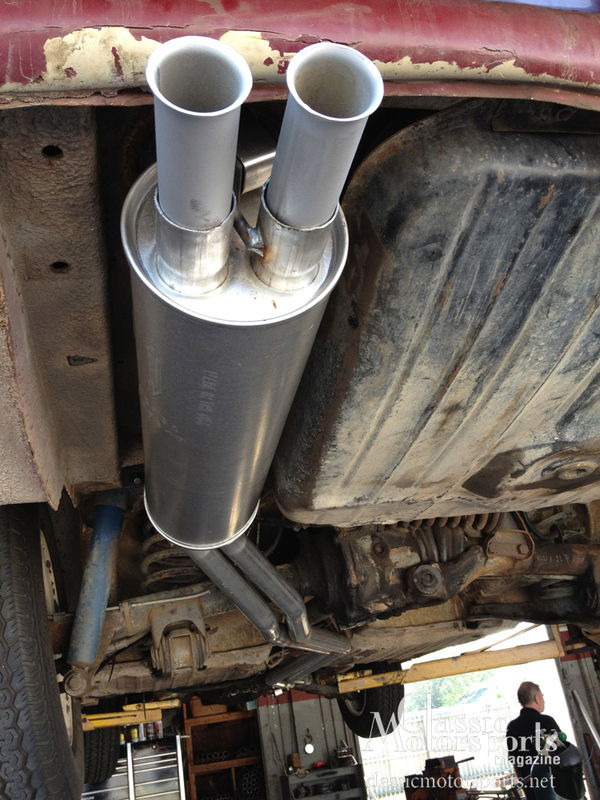 He said he could get us a stock-style rear muffler for about $100 and for another $100 he could install it, as long as we didn’t opt for the factory resonator. Good enough. That would get us by until we figured this project out a little better. Once finished, we were thrilled, as we could now hear ourselves think. We could also hear some new noises coming from the rear end or rear wheel bearings. Do you like crusty rallycross cars? We do! Subscribe now for tons of sports car content delivered throughout the year.